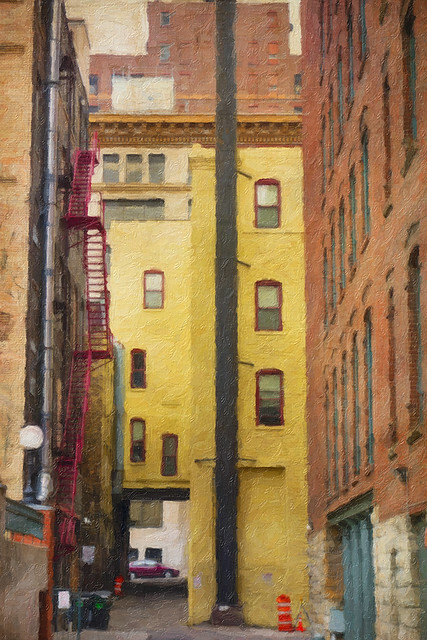 Lowertown IV | Flickr - Photo Sharing! laxwings, robn848, diaduck, and 2 other people added this photo to their favorites. Terrific color work, Ronald - the fuchsia-colored fire escape, repeated around the windows, is brilliant.